Women and children bear the greatest burdens of conflict and poverty. Thank you so much for your interest in the Women at the Center project, begun by Dr. Ann Evans and managed by nonprofit Mothering Across Continents. 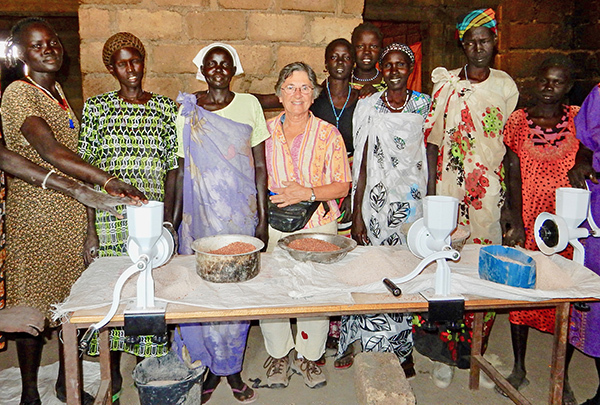 The first simple donation from Dr. Ann Evans ("Dr. Ann") was hand grinders to help ease daily meal preparation. This began a joyous bond that evolved into an actual Women's Center building and creation of a Women's Association. Over time, the Women at the Center project expanded to include Old Fangak Community School serving more than 200 adults and 1,000+ K-8 students, nearly 40 percent of whom are girls. Many of the school's teachers have received nationally certified training. The first girls to be eligible for secondary school (high school) scholarships will graduate from Old Fangak Community School at the end of 2018. A loan program for women-owned business has been established. The blessing of quality education also creates a need for classrooms, desks and materials. Over 2018 and early 2019, we are adding six new classrooms and expanding the width of 12. But donations are needed for 90 three-seat desks in the new classrooms at a cost of $150 (Each classroom needs 15 desks.) 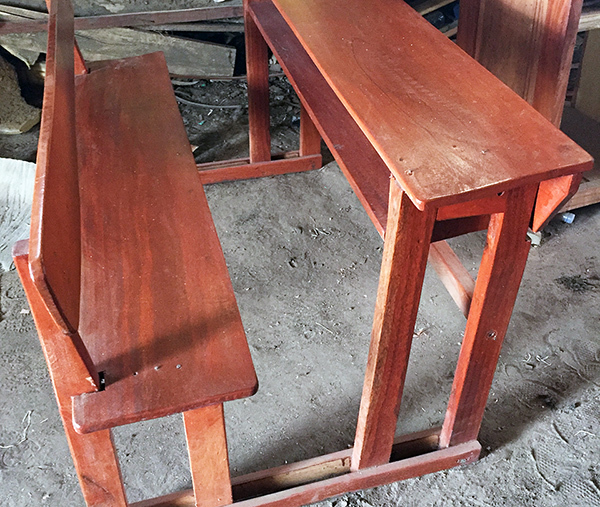 These desks meet many different needs - for primary school day students, for adults in afternoon and evening classes, and for parents and community leaders to hold planning meetings. We give to honor Ann Evans for her amazing service to this community. This gift is in honor of Dr. Beverly Bell, who has dedicated her lcareer to the international classroom. Mission and impact of MAC is all inspiring and illuminates a true human spirit. 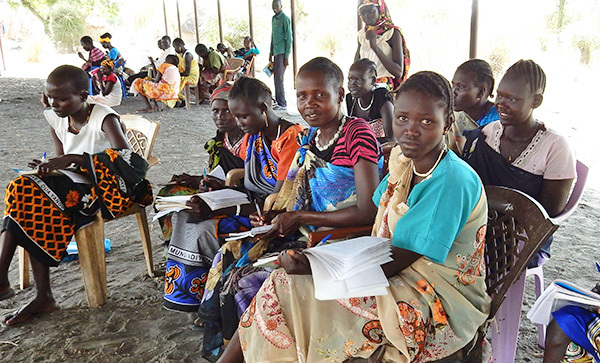 We have followed and appreciated Ann Evan's work in South Sudan's Old Fangak for many years. I support Ann Evans...her work is selfless and so important. Thank you Ann...you are an angel. I am donating this desk in honor of Jessica Kubiak, whose own work and passion is helping to empower young people through education. Thanks Ann and colleagues for all the good you are doing. It takes a village and some friends.